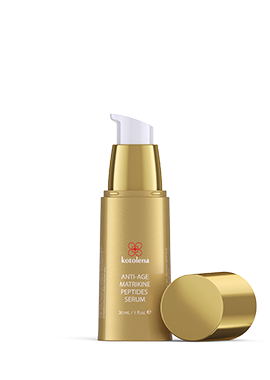 Don't let the dewy lightness of our Anti-Age Matrikine Peptides Serum fool you! 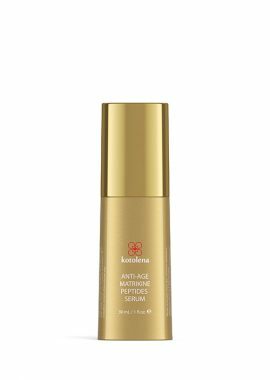 Anti-Age Matrikine Peptides Serum is the smart way for ideal skin’s appearance that provides instant hydration with a weightless feel.This unique skin beautifying essence contains a powerful, proprietary formula developed by our MDs and Ph.Ds. Anti-Age Matrikine Peptides Serum is formulated with optimal levels of the most effective Matrikine peptides and Herbal Extracts. It provides the long-term protection and hydration your skin needs to stay looking its best! 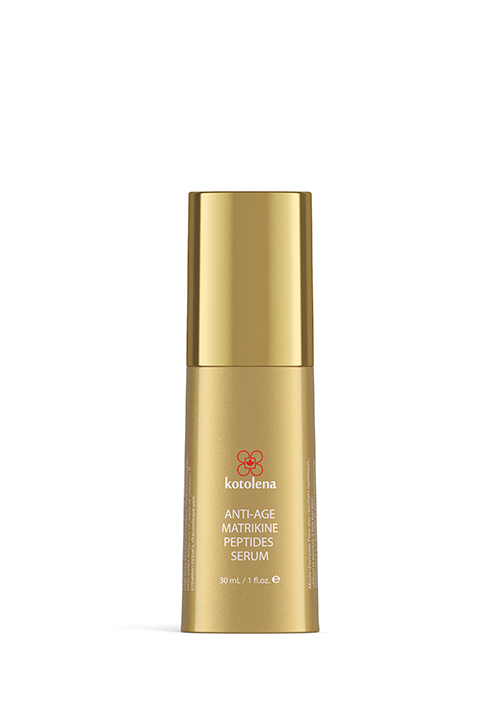 Anti-Age Matrikine Peptides Serum is our ideal solution for all skin types. It works quickly to reduce the look of fine lines and wrinkles imparting elegant radiance. Anti-Age Matrikine Peptides Serum is the 1st Step in Kotolena Restorative Synergy System. For best results apply the Anti-Age Matrikine Peptides Serum in the mornings and evenings before Anti-Aging Matrikine Peptides Complex. We are confident that you’ll love our products and we stand behind them. Please report any dissatisfaction with any product to our customer happiness team at info@kotolena.com and we’ll make things right right away with our 100% money-back guarantee*. Apply 5-7 drops of the serum to clean skin. Apply with upward, gentle strokes until well absorbed, starting from the inside of the face and moving outward.